On January 29, 2019, the Congress to establish VNUA Association for Intellectual Women (VNUA-AFIW) was held at VNUA with the attendance of more than 200 delegates. Attending the Congress were Prof. Dr. Pham Thi Tran Chau, President of the Viet Nam Association for Intellectual Women (VAFIW), MSc. Nguyen Thi Yen Hung, VAFIW Secretary General, Prof. Dr. Nguyen Thi Lan, VNUA President, Prof. Dr. Tran Duc Vien, Chairman, Board of Trustees, Dr. Nguyen Tat Thang, Chairman of Trade Union, Ms. Do Thi Kim Huong, Secretary of the Youth Union, leaders of affiliated units and more than 200 delegates. Opening the Congress, Mrs. Nguyen Thi Yen Hung, announced the Decision No. 84/QD-HNTTVN dated January 28, 2019 issued by the VAFIW on allowing the establishment and official recognition of VNUA Association for Intellectual Women. The Congress took place austerely in accordance with the guidelines and regulations of the VAFIW reached an agreement on the action plan and direction of the term 2019-2024. An Executive Committee including 11 members was formed also. 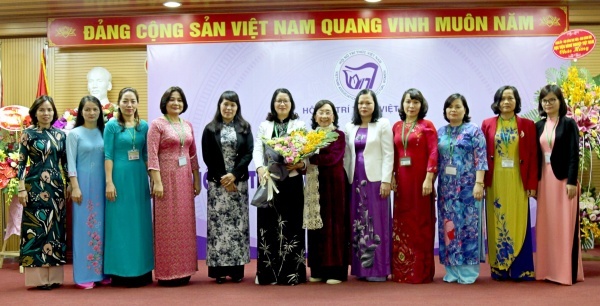 Prof. Dr. Pham Thi Tran Chau stated that the VAFIW at the beginning had only 350 members without affiliated associations. Up to now, in the second term, it has over 3,500 members, of which about 35% has university degrees, about 65% has post graduate degrees. 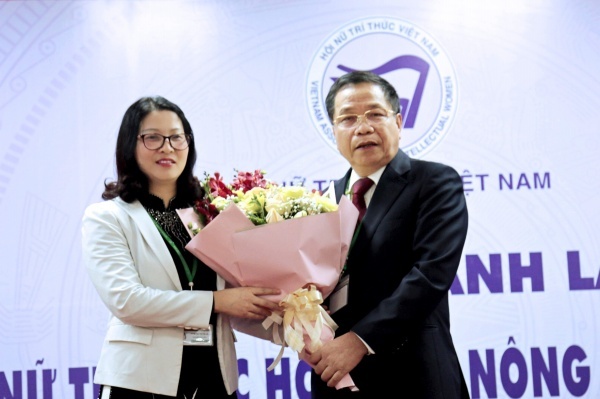 “VNUA-AFIW Executive Committee elected by the Congress has enough capacity and enthusiasm to arouse strengths and role of female intellectuals in training, scientific research, international cooperation, which will be likely to contribute to the development of the university and the agricultural sector” said Prof. Dr. Chau. 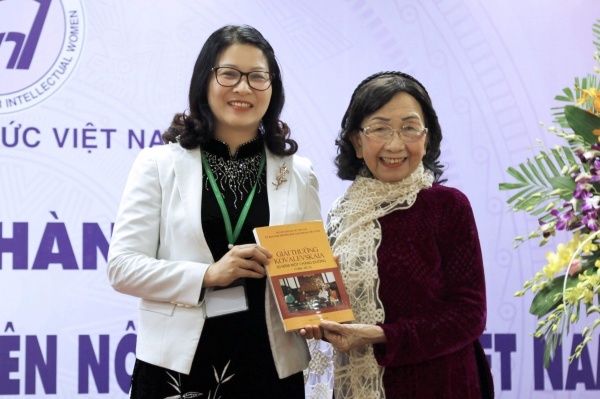 On behalf of the VNUA-AFIW Executive Committee, Prof. Dr. Nguyen Thi Lan expressed her sincere thanks to the VAFIW for supporting and creating favorable conditions during the campaign for establishment of VNUA-AFIW. She affirmed that the VNUA-AFIW will try to work following the sayings of President Ho Chi Minh when he visited the university "Solidarity, constant efforts, to progress forever", and join hands with the leaders and staff of the university to successfully implement all tasks assigned by the Party and the State. The Congress to establish the VNUA-AFIW was successfully held. It was a significant event, affirming the great role of VNUA female intellectuals in the development of the university.